A scholarship has been established to honor a JSC graduate who passed away in a car accident on Oct. 14. 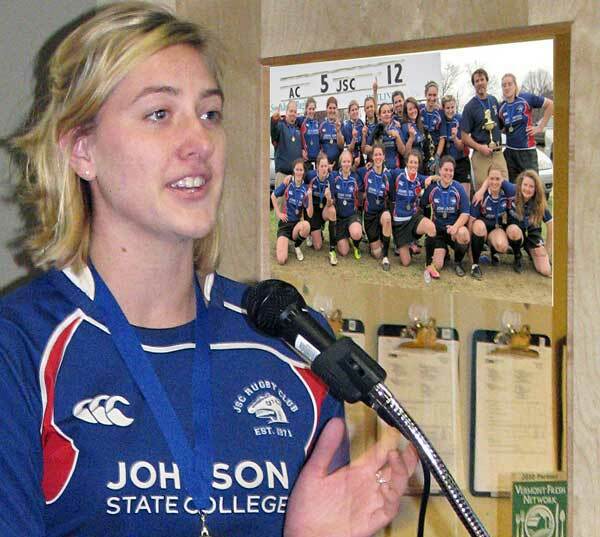 Alyson Finn, a 2013 JSC graduate, made a lasting impact on campus as the founder and former captain of the JSC women’s rugby club. The scholarship being put together in her honor will be awarded to a student who shows the same passion for rugby as Finn did. Lauren Philie, director of development and alumni relations, is one of the people in charge of organizing the scholarship and handling the donations. According to Philie, the first scholarship will be awarded this spring for a returning rugby player in fall 2015. She said the scholarship will be awarded each spring for the following fall semester, as long as funds are available. Donations have been pouring in from many people associated with Finn and JSC. A significant portion of the donations, Rogers said, has come from Finn’s family and from friends following her funeral on Oct. 17. As of Nov. 18, $1,260 had been donated already. The amount being awarded for the scholarship will depend on the amount raised from donations. Anyone who would like to donate to Finn’s scholarship fund can do so at www.alumni.jsc.edu/rugby.